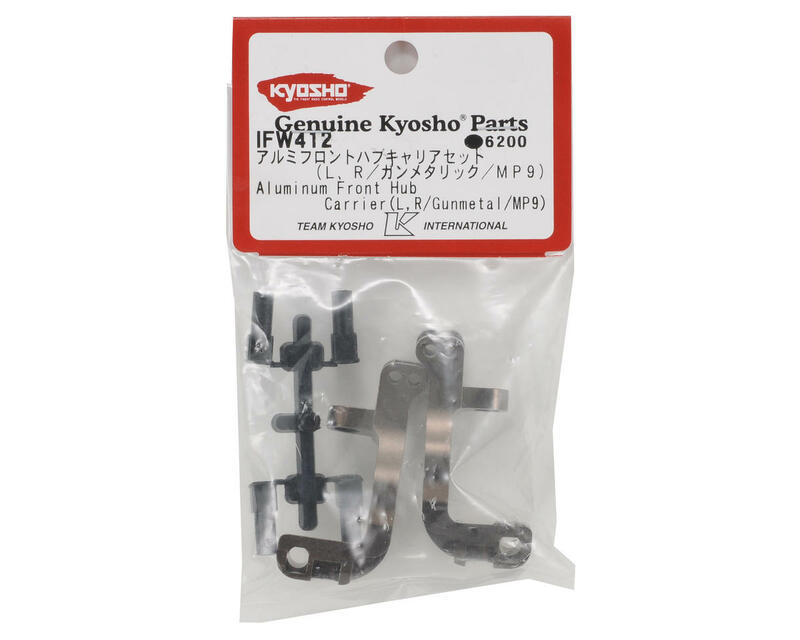 This is an optional Kyosho Aluminum Front Hub Set, and is intended for use with the Inferno MP9. 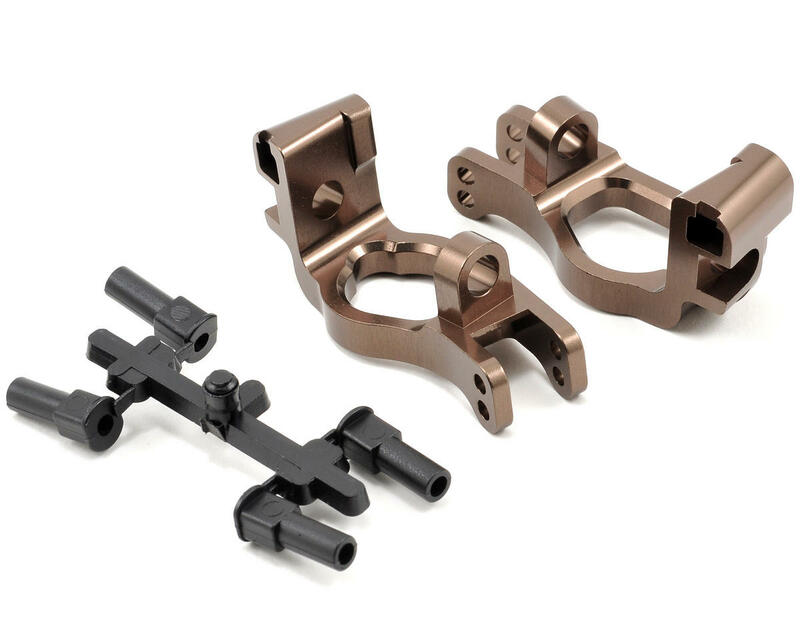 These upgrade parts are direct replacements for the stock plastic front hub carrier. CNC Machined from 7075 aluminum and Hard Anodized in Kyosho's unique gunmetal finish, these hubs add not only a cool factory look, but also strength, rigidity and reliability to the MP9 and MP9e platforms. Includes the caster inserts that allow for -1°, 0° and +1° caster adjustments. A must have upgrade for mp9 tki3. This will prevent flex if you are still using 91mm stock drive shaft. This is a great upgrade. Very strong. Great for small tracks and makes tight turns.